This course covers how to use RTUS to improve your assessment, treatment and exercise programming. An anatomy review and succinct overview of the research on the core muscles including transverse abdominus, pelvic floor and deep hip stabilisers will be covered. How to use RTUS to assess TA, PF and basic hip (Quadratus femoris) assessment. Neural testing of both the upper and lower limb to ensure stability muscles are not pain inhibited by either a local or distal factor. Palpation of multifidus and clinical tips to assess if it is inhibited including perturbation. 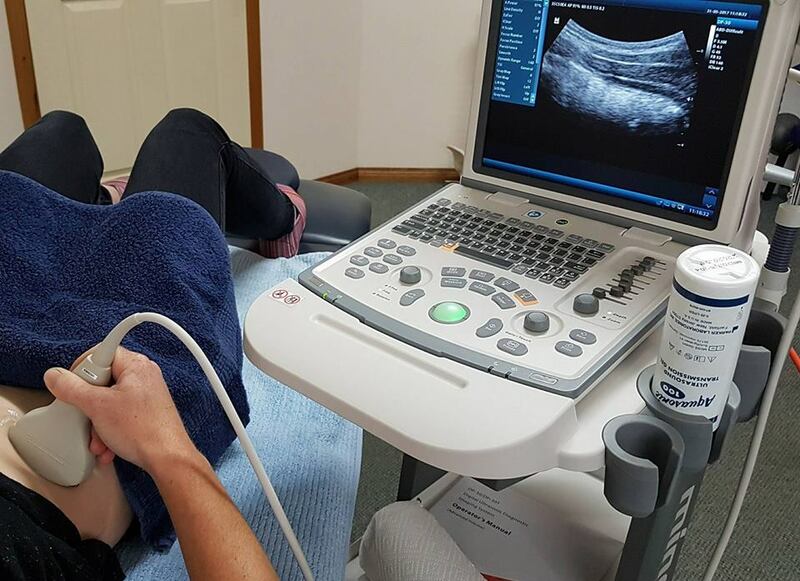 At the completion of this course you will be confident to use RTUS in your clinical sessions. You will have the opportunity to assess core and hip stability muscles to identify what is normal and typical clinical presentations. You do not need to own a RTUS machine to benefit from this workshop. You will have the opportunity to trial different models of RTUS machines. It is a very practical course and is suitable for any practitioner wanting to improve their stability assessment and retraining. FREE: you will receive a copy of The Back Pain Handbook E-book when you enrol in this course.